A Palestinian farmer and English human rights defender have been hospitalized and at least 40 olive trees burnt following an attack by illegal Israeli settlers in the northern West Bank town of Burin today. 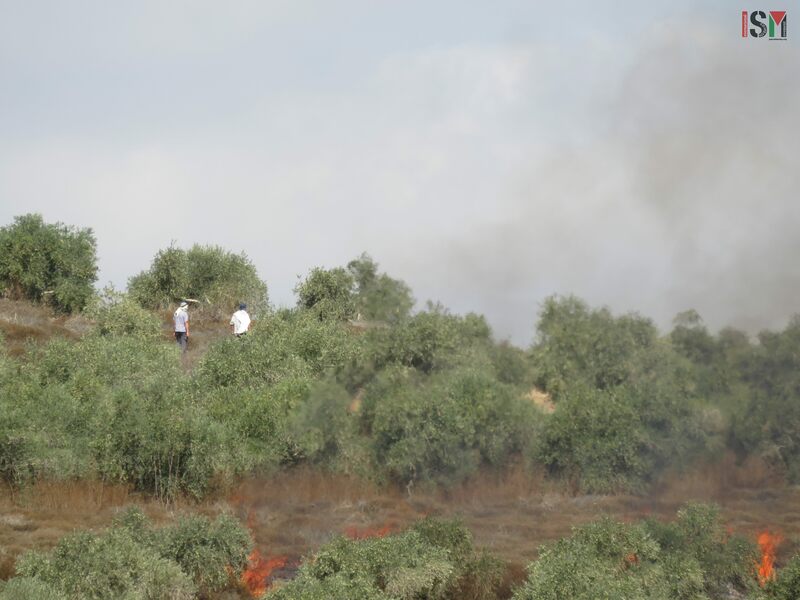 At 10am this morning, as ISM and other international volunteers accompanied olive farmers who have repeatedly been restricted from accessing their fields, gun shots were heard ringing out across the valley from the settlement above. 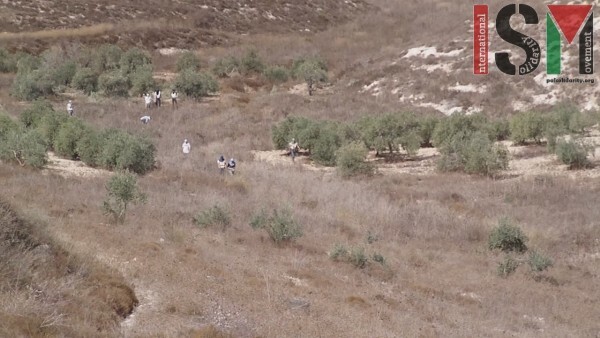 Approximately thirty masked settlers from the illegal Yizhar settlement then descended the hill and started throwing stones at the group which had peacefully been picking olives for several hours. 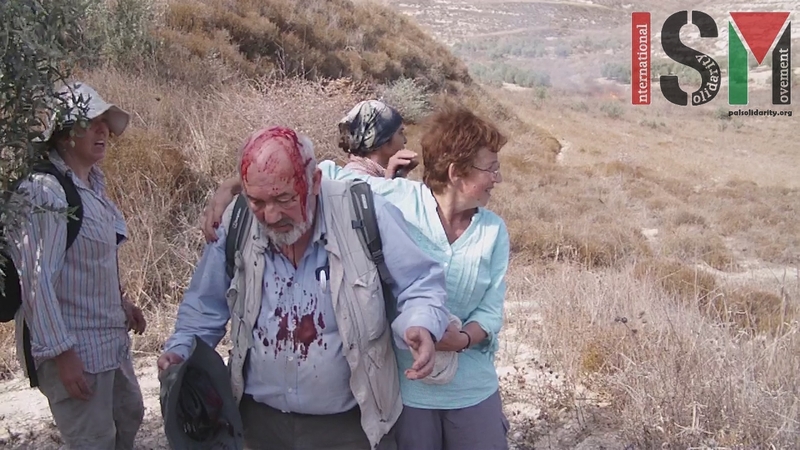 International human rights defender David Amos, a Quaker from London, was repeatedly attacked with rocks from three meters away, causing two head wounds and copious bleeding. 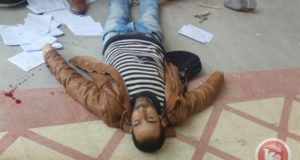 The owner of the land, Abed Musaa, was hit in the front and back with stones and has been treated for lacerations and bruising. The attacking settlers also stole phones, a camera and a bag from the international human rights defenders. The settlers were then witnessed setting four separate fires to grass on the edge of the olive groves which rapidly grew in dimensions, consuming olive trees and the grasslands between family plots. 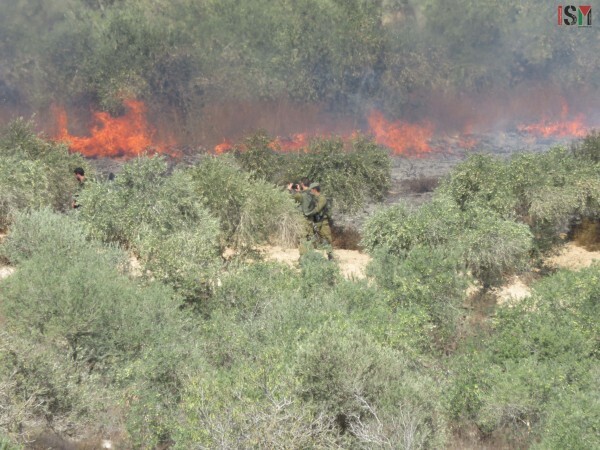 Two Israeli forces jeeps and two collaborating illegal settler vehicles drove into the valley, took photos of the scene, and then parked alongside each other on the road to Yizhar as more fires were lit by the masked settlers throughout the valley. 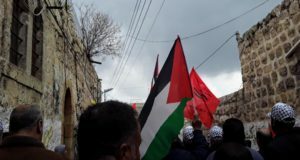 Israeli forces then scaled the valley and were witnessed saying to Palestinians, “yes you want peace, we want peace, they want peace,” referring to the settlers. Burin farmer and school teacher Doha and Samir were prohibited from continuing to pick olives on their land, being told they required a permit despite no legal provision to that effect, being within Area B zoning under the Oslo accords. 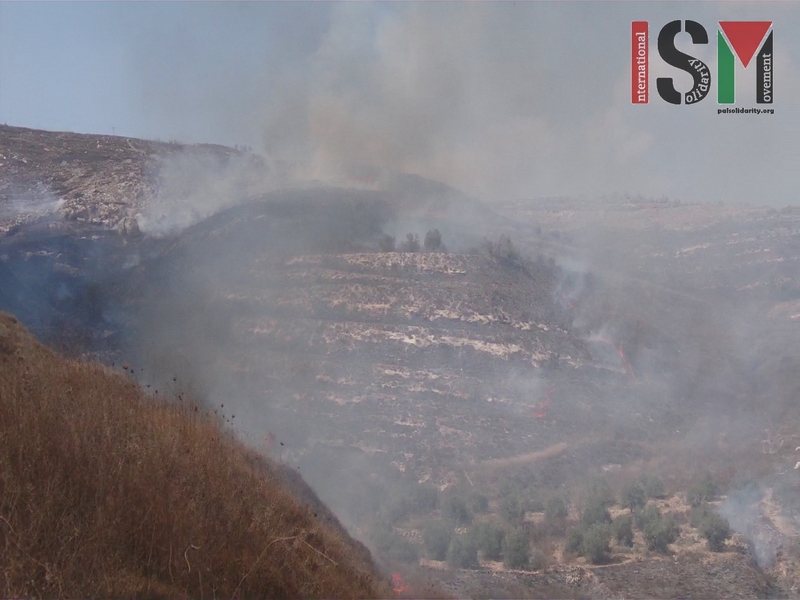 Palestinian firefighters were prohibited from accessing the fire for three hours, being told that a permit was required to utilize the road to the Yizhar settlement, which has been heavily restricted to Palestinian traffic in recent weeks. 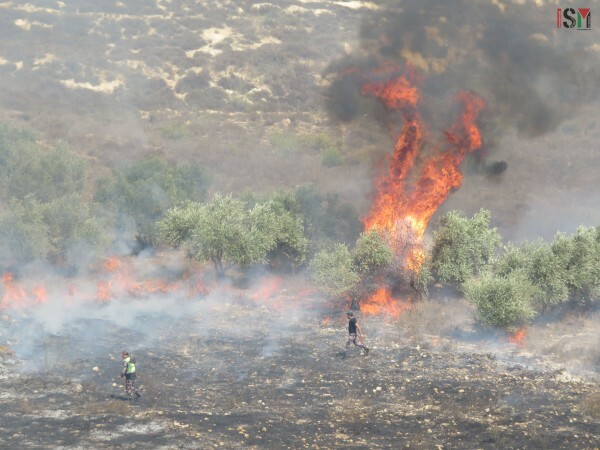 Palestinian civil workers, farmers, and international human rights defenders attempted to put out the blaze with sand, shovels, and olive branches but were unable to stop the spread of the fire amid 30 degree heat and rising winds. 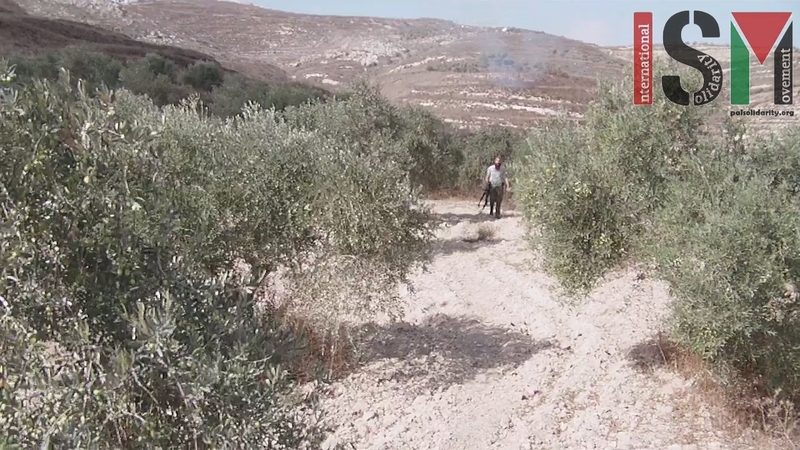 Olives are a traditional produce of the Nablus district and constitute 25% of the West Bank’s economy (OCHA 2014). 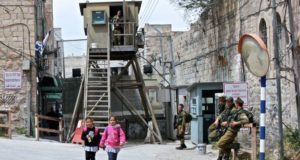 This critical October harvest season falls amid rising tensions in the West Bank, as Israeli forces increase their deployment of soldiers and use of violence in the occupied territories. The Yizhar settlement has also been implicated in the tragic death of 18 month old Ali Dawabsheh and his parents in the Palestinian village of Duma two months ago.